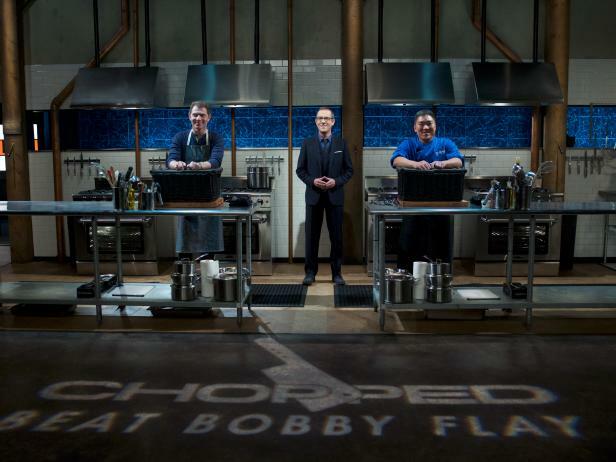 Get the exclusive interview with the winner of the Chopped: Beat Bobby Flay crossover event. Chef Bobby Flay (L), Host Ted Allen and chef Seis Kamimura during the final round three signature dish, as seen on Food Network's Chopped, Season 31. In the new tournament Chopped: Beat Bobby Flay, three chefs competed in preliminary rounds in order to gain a spot in the finale, for a chance to go up against the formidable competitor Bobby Flay. In the end Seis was the chef to battle Bobby. He’d won $15,000 for just getting to that point, but to earn $25,000 more he'd have to also beat Bobby. 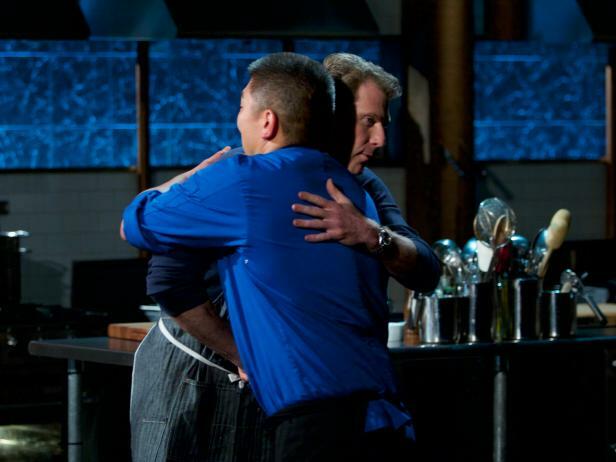 Both chefs would have to cook Seis' choice of dish — in this case bibimbap, a dish Bobby had previously lost with on his own show, Beat Bobby Flay. Find out if Seis was able to beat Bobby again, or if Bobby redeemed himself from last time. After an unusually long 45-minute round filled with superb competitive cooking and drama, Seis and Bobby produced very different takes on bibimbap. But after tasting both dishes and deliberating on flavor, presentation and creativity — the three tenets of the Chopped kitchen — the judges decided to chop Seis. Bobby leaves an undefeated champion after competing on Chopped for the first time. 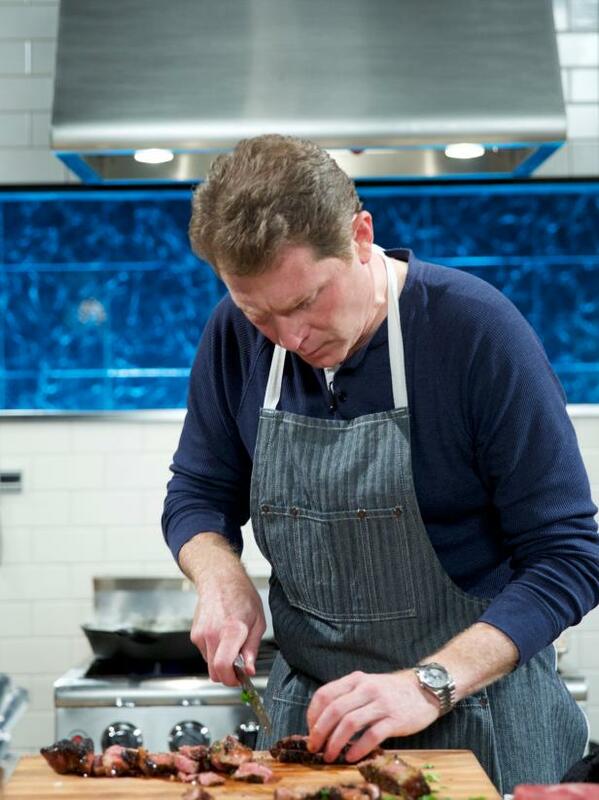 Chef Bobby Flay during the judging of the final round three signature dish as Bobby Flay is the winner, as seen on Food Network's Chopped, Season 31. 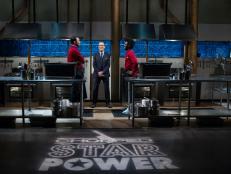 What was it like blending two competitions into one tournament in Chopped: Beat Bobby Flay? 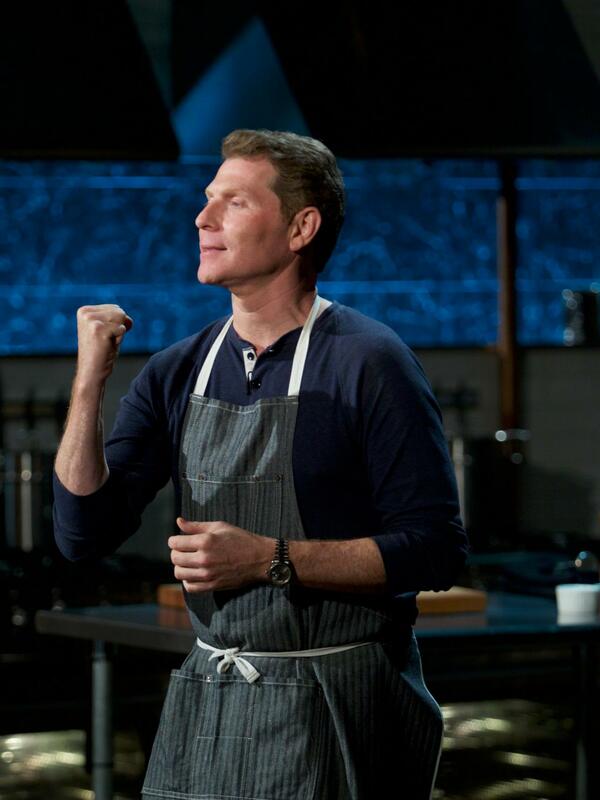 Bobby Flay: I don’t always love combining shows like that, but in this case it really worked, because they have some interesting relations in terms of how fierce the competitions are and there’s sort of layers of competition to get to the end, and so I thought it was a really nice play on both of the shows combined. What was going through your mind when you found out you’d be making bibimbap in the last round? BF: You know, I like to eat bibimbap. I’ve only made bibimbap once, and I did it on Beat Bobby Flay and I lost, but it’s really one of the world’s great dishes. Was it strange, or maybe a little uncomfortable, to be cooking in a new kitchen? Chef Bobby Flay cooks Crusty coconut rice bi bim bap during the final round three signature dish, as seen on Food Network's Chopped, Season 31. Do you still get nervous doing these competitions? BF: I always get nervous. I get nervous every time I do it. How do you deal with it? Any pre-competition routine? BF: Once I start getting into the cooking, then I feel better, but … right before we go, and I start thinking about what I need to do, I get nervous every time. Chefs Bobby Flay (L) and Seis Kamimura during the judging of the final round three signature dish, as seen on Food Network's Chopped, Season 31. How do you feel you did with your dish? BF: I just knew that I wanted the rice to be cooked correctly and a little bit crispy. I almost forgot the egg, which is a big part of the bibimbap. I think there was less than two minutes to go and I remembered that I needed to fry an egg. Judges Amanda Freitag (L), Alex Guarnaschelli and Chris Santos with Host Ted Allen and chefs Bobby Flay and Seis Kamimura during the judging of the final round three signature dish, as seen on Food Network's Chopped, Season 31. The Chopped judges know you so well. Do you think that gave you a little bit of a leg up? BF: I don’t think so. I think it actually put me at a disadvantage, because I think the Chopped judges are very proud of Chopped, and I think that in some ways the Chopped champion [had] really the home-team advantage. 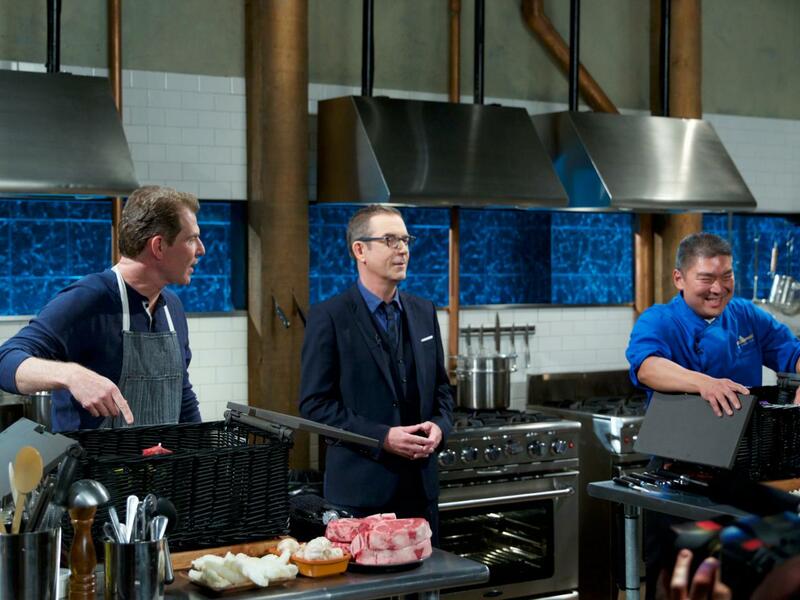 Even though we all work together, I feel in some ways they wanted to preserve the Chopped franchise. You sat among the judges’ panel for a couple of rounds. Did you learn anything in the early rounds of the competition? BF: Well, I was keeping a very careful eye on how the kitchen worked and functioned, because I knew that at some point I was going to be up there myself. 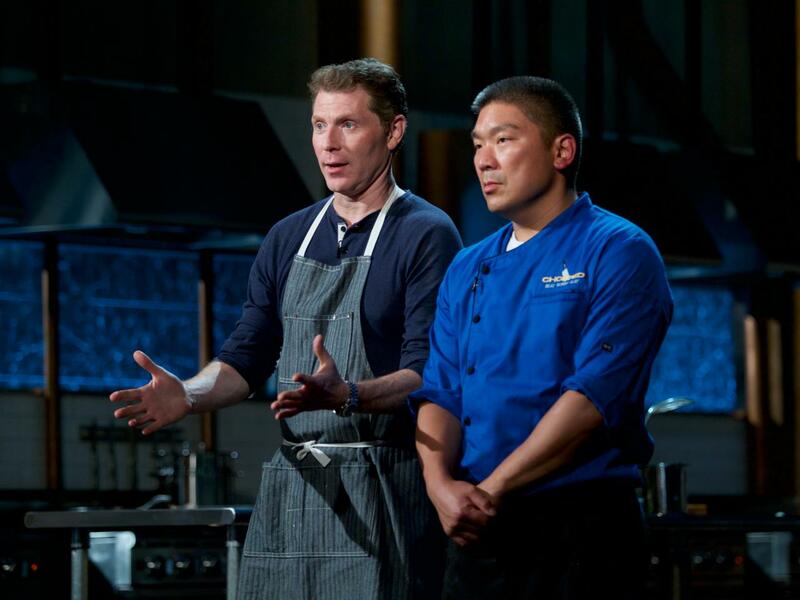 Chefs Bobby Flay (L) and Seis Kamimura during the judging of the final round three signature dish as Seis Kamimura is chopped and Bobby Flay is the winner, as seen on Food Network's Chopped, Season 31. What do you have to say about your competitor, Seis? BF: I thought he was really good. He made a beautiful dish, but I used Beat Bobby Flay strategy, which is that if I have to make a dish that I don’t have a lot of experience in, I have to ensure that when the judges taste it that they have delicious food in their mouth. Would you welcome Seis back on Beat Bobby Flay for a little rematch? BF: Oh, absolutely. For sure. I’m open to going against anybody. Relive the Chopped: Beat Bobby Flay tournament by browsing photos of the top moments and watching the exclusive extended final round.